Are communication skills a factor in deciding who gets a promotion? According to research from Accountemps, CFOs say poor interpersonal skills is the most common reason for employees to fail to advance at their company. For example, you need verbal communication skills to explain the reasoning behind business decisions to various audiences. You need to master public speaking or presentation skills in order to move up the ladder into leadership roles. Even if you are in an entry-level position, it’s not too early to learn to present information in a compelling way, and to package information and explain technical information to stakeholders. What are examples of how employees do not have good communication skills? Many people have poor communication in various ways: in writing, phone conversations and face-to-face. Written communications shouldn’t be longwinded. You should write in crisp and highly focused style, and error-free. If you are easily distracted during phone conversations or worry your message could be misconstrued, consider meeting in person. This will also help build rapport with your colleagues. Don’t send mixed signals with your body language. Face the person you are speaking with and make eye contact. Be an active listener by nodding or giving small verbal cues occasionally, without interrupting, to let them know you understand. What is the difference between communicating well as a team member, and communicating well as a manager? Staff members should communicate clearly to avoid confusion on their projects and ensure they’re in sync with colleagues. Managers need to communicate their vision of what success on a project looks like, and what expectations are of each individual, to ensure everyone is on the same page. They also need to deliver clear messages to senior executives to gain additional resources or support. How can someone improve their communication skills? With time and practice, communication skills can be learned. Ask a mentor or manager to help you identify your strengths and weaknesses. Also, research professional development opportunities your company may offer. Seek out online courses. The internet offers a wide variety of effective training options for professionals looking to improve their verbal communication skills. Utilize resources provided by trade associations. Professional organizations can help their members update their knowledge of fundamental business skills through seminars and workshops. 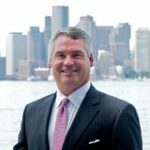 About Bill Driscoll: Bill Driscoll is the New England District President of Accountemps, a division of Robert Half. Bill oversees professional staffing services for Robert Half’s 23 offices throughout Massachusetts, New Hampshire, Maine, Connecticut, Rhode Island and portions of New York. He serves as a national spokesperson for Accountemps and has been featured in several top publications, including the Wall Street Journaland the Boston Globe. He has also made appearances on local and national outlets, including WFXT, WBZ, WCVB, NECN, PBS and Fox Business News. Bill is considered a local and national expert on recruiting practices, hiring and job search trends, and other workplace issues. Want more tips and career advice? Stay connected to College Recruiter by visiting our blog, and connect with us on LinkedIn, Twitter, Facebook, and YouTube.